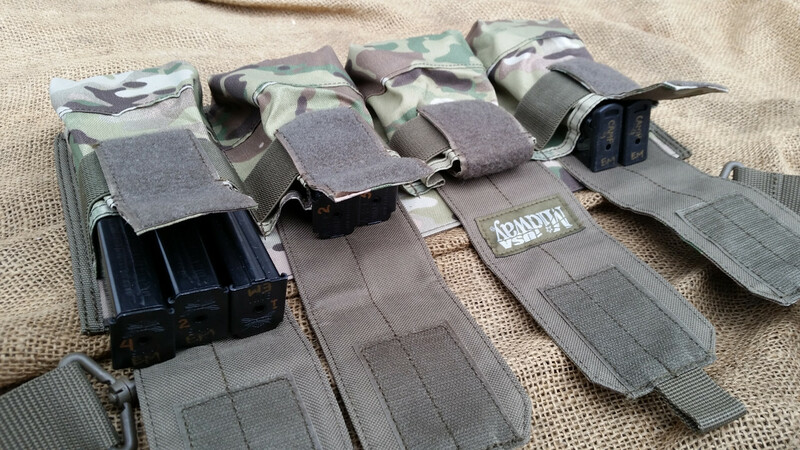 Bandolier pouch or mag pouch for 33 round Glock stick mags? Thread: Bandolier pouch or mag pouch for 33 round Glock stick mags? With the current popularity of pistol caliber carbines or PDW's for the tacticool guy's I am surprised to see almost zero good options for Bandolier style or multi (more then 3) pouches for Glock 33 round mags as well as other pistol caliber stick mags on the current market. What do you guy's who own AR9 and other PCC use other then your pockets or throwing them in a range bag? Last edited by Hodgie; April 14th, 2018 at 08:12 PM. Re: Bandoleer pouch or mag pouch for 33 round Glock stick mags? I use a bag with Velcro for my Sten mags. I think it has 5 on each side with a shoulder strap. It kind of looks like a purse, IDK if that is a good description. It is so old I have no idea where it came from. The shop it may have come from is long closed. I found this a little while ago which looked promising. I checked their site and they aren't listed and saw on another message forum when doing a search that they are special order. Judging by the prices of his other products it's not going to be cheap. I am going to shoot the guy a e-mail and see what he say's. That pretty much looks like my mag pouch. Mine is double sided and black. It wasn't more than thirty bucks back then. Made my own pouches for PCC competition. Little bit of Kydex and leather goes a long way for 32 round Colt mags that don't stick into your armpit during competition. 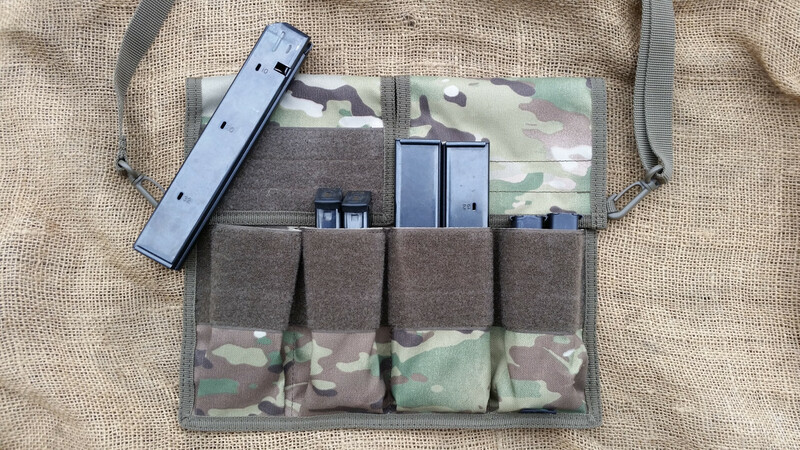 Re: Bandolier pouch or mag pouch for 33 round Glock stick mags? WHO NEEDS 33 ROUNDS TO SHOOT A HIGH SCHOOL KNOW IT ALL TIDE POD EATIN NITWIT? Geesh you people are animals. My 9mm 32 rd Metalform AR15 mags fit OK in these two mag pouches from Midway. I'd post the link to my original thread but Postimage.com is all fu@ked up and now my images don't show up there. Tactical Taylor makes really nice stuff. A buddy has the stick mag pouches on his carrier. Quality product. I run the 5.11 MP5 dual pouches, they are shorter and easier to grab for a reload, to me at least. I have them on my carrier attached to a Velocity Systems panel with velcro and swift clips. I can also un-clip it from the carrier, add a velcro cover to the back just to cover it, and then re-clip to the Haley Strategic chest rig harness. Easier way to carry for comps with out the whole plate carrier. I can run either 556 or 9mm with a simple un-clip and re-clip. 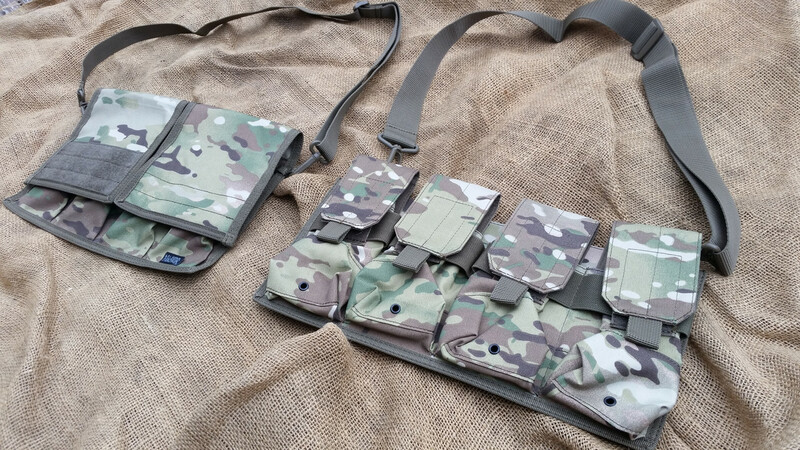 You could piece your own together with a molle panel, some clips, and a strap, and the mag holsters. Another thought is the IDF Uzi 5 mag canvas pouch. A Glock mag should fit. Last edited by Nate7667; April 15th, 2018 at 09:17 PM.